SINGAPORE, March 30, 2015 /PRNewswire/ — Singapore’s private outpatient diagnostic imaging services market is receiving a huge boost from a combination of factors including a growing aged population, higher prevalence of non-communicable diseases, and the influx of medical tourists. An estimated 80 percent of the primary healthcare services in the country are provided by private practitioners and the remaining by government polyclinics. In response to the substantial opportunities, device manufacturers are focusing their efforts on developing sophisticated imaging technologies and offering quality output. New analysis from Frost & Sullivan, Singapore Private Outpatient Diagnostic Imaging Services Market (http://www.frost.com/q293927029), finds that the market earned revenues of US$127.8 million in 2013 and estimates this to reach US$273.0 million in 2019. “With the increasing number of elderly and chronic disease patients, there is a marked shift in attitude from disease treatment to prevention,” said Frost & Sullivan Healthcare Consultant Poornima Srinivasan. “Both patients and healthcare givers are seeking solutions that can aid in early diagnosis and regular monitoring, which, in turn, is driving the usage of diagnostic imaging services,” she added. However, the market is somewhat constricted by the high capital expenditure on equipment. Hospitals and laboratories are also deterred by the service and maintenance costs of diagnostic imaging products such as Magnetic Resonance Imaging (MRI), Computed Tomography (CT), Positron Emission Tomography (PET), and Single Photon Emission CT (SPECT). In addition, most diagnostic services, except for mammograms and colonoscopy, are not covered by the national insurance schemes in Singapore. Inadequate reimbursements tend to cause hospitals to defer their usage. Yet, consumer awareness regarding early diagnosis and intervention and the demand for low-radiation imaging equipment have made a strong case for sophisticated imaging technologies. “The private outpatient diagnostic imaging market in Singapore is competing on technology and services rather than pricing,” noted Srinivasan. “To retain their customer base and attract more customers, device manufacturers and service providers are aiming to invest in new technologies that can deliver more accurate results and a wider variety of tests,” she added. Given the competitive nature of the market and end-user desire for novel, high-quality products, diagnostic imaging service providers with innovative technologies will flourish. If you are interested in more information on this study, please send an e-mail to Melissa Tan, Corporate Communications, at melissa.tan@frost.com. Singapore Private Outpatient Diagnostic Imaging Services Market is part of the Advanced Medical Technologies (http://www.medtech.frost.com) Growth Partnership Service program. Frost & Sullivan’s related studies include: Drivers for Healthcare R&D Investment in Asia-Pacific, Technology Trends in Cardiac Imaging, Global Orthopedic Implant Market, and Multi-parameter Patient Monitoring Market in Asia-Pacific. All studies included in subscriptions provide detailed market opportunities and industry trends evaluated following extensive interviews with market participants. PURCHASE, N.Y. /PRNewswire/ — Duct tape, matches, a skateboard and a bottle of DEW® at first glance are ambiguous on their own. However, when DEW Nation takes a second look, they see opportunities where others don’t to instigate an extraordinary, exhilarating, damn good time. To bring “Do the DEW” to life in an epic way across the globe, Mountain Dew partnered with one of Hollywood’shottest directors, Justin Lin, known for his work directing The Fast & The Furious franchise and the upcoming season of HBO’s True Detective and the highly anticipated Star Trek 3. Globally, Mountain Dew accounts for two of PepsiCo’s 22 billion dollar brands with Mountain Dew and Diet Mountain Dew each generating more than a billion dollars in estimated annual retail sales in their own right. Inthe United States, Mountain Dew is a powerhouse brand that has been recognized by Beverage Digest at the #3 liquid refreshment beverage megabrand and it is the No 1. flavored carbonated soft drink. PepsiCo products are enjoyed by consumers one billion times a day in more than 200 countries and territories around the world. PepsiCo generated more than $66 billion in net revenue in 2014, driven by a complementary food and beverage portfolio that includes Frito-Lay, Gatorade, Pepsi-Cola, Quaker and Tropicana. PepsiCo’s product portfolio includes a wide range of enjoyable foods and beverages, including 22 brands that generate more than $1 billion each in estimated annual retail sales. At the heart of PepsiCo is Performance with Purpose – our goal to deliver top-tier financial performance while creating sustainable growth in shareholder value. In practice, Performance with Purpose means providing a wide range of foods and beverages from treats to healthy eats; finding innovative ways to minimize our impact on the environment and reduce our operating costs; providing a safe and inclusive workplace for our employees globally; and respecting, supporting and investing in the local communities where we operate. For more information, visit www.pepsico.com. Oceanco is pleased to be exhibiting at the Singapore Yacht Show from 23 to 26 April 2015. You can find us at the One 15 Marina Club, which is located in the heart of the show. The exclusive Singapore Yacht Show, which originated in 2011, has become a key-networking event attracting Asian and international business leaders. Gaining momentum every year since its inception, the organizers say that the 2015 show will be their biggest one to date. Oceanco will display the scale models of its latest innovative projects and is also very excited to be showcasing the 75.5m (248ft) Anastasia-the largest yacht to ever attend the Singapore show. Anastasia has won a number of prestigious awards including the World Yacht Trophy for Best of the Best Custom Motor Yacht over 40m and theRobb Report Best of the Best Custom Motor Yacht of the Year. With her extremely distinctive elegant sweeping curves and a pair of ‘rocket’ wings atop her superstructure, this stunning motor yacht, is sure to attract a lot of attention. Designed by Sam Sorgiovanni for veteran yacht owners, she is superbly engineered and crafted with utmost attention to detail; Anastasia is the ideal yacht for coastal cruising or lengthy expeditions. Guests: Suite, office and owner’s balcony, 2 double VIP suites, 3 double guest cabins. MOUNTAIN VIEW, Calif., March 30, 2015 /PRNewswire/ — Based on its recent analysis of the industrial physical infrastructure Ethernet market, Frost & Sullivan recognizes Belden Inc. with the 2015 Global Frost & Sullivan Award for Product Line Strategy Leadership. Belden’s 100-year legacy of proven technical excellence and continuous R&D gives the company a clear strategic edge in the evolving Ethernet market. Tripwire, a leader in advanced cyber threat detection solutions. Belden’s industrial cable division was the starting point in its journey toward becoming a global signal transmission solution provider. Its offerings include industrial data solutions that support industrial Ethernet and bus networks, as well as EIA-485 applications, instrumentation and control cables; armored cables; flexible automation cables; pan/tilt/zoom CCTV camera cables; fire alarm cables; sound (paging) cables; and switches. One of Belden’s main areas of focus is industrial IT. In this market, Belden sells wired and wireless switches and routers, both hardware and software products, and has been the leader in adoption of Ethernet in the industrial market, while supporting a broad range of legacy protocols. Additionally, it emphasizes security as end users have begun to realize that industrial facilities and environments are subjected to the same degree of security threats as in the commercial space. Belden has particularly emphasized investments in wireless, security and embedded technologies as critical enablers for the Internet of Industrial Things (IoIT). Belden’s development processes are finely tuned to support mission-critical applications and tailored to the unique needs of industrial customers, specifically maximized network uptime and ease of product installation and use. Furthermore, its product lines are compatible with those of any automation company; this has been made possible by its impressive in-house technical knowledge base and relentless focus on customer intimacy. Belden also offers a variety of world-class networking services. The core components of its network services are on-site technical consultation that includes network planning, design, configuration and installation, as well as trouble-shooting, maintenance and assistance with future upgrades. This is supplemented by world-class, post-sales support. Belden is not just a supplier of signal transmission products, but a true strategic business partner delivering solutions that make end-user facilities perform more efficiently and profitably. Its global presence places it in close proximity to most of its customers and partners. Belden Inc., a global leader in high-quality, end-to-end signal transmission solutions, delivers a comprehensive product portfolio designed to meet the mission-critical network infrastructure needs of industrial, enterprise and broadcast markets. With innovative solutions targeted at reliable and secure transmission of rapidly growing amounts of data, audio and video needed for today’s applications, Belden is at the center of the global transformation to a connected world. Founded in 1902, the company is headquartered in St. Louis and has manufacturing capabilities in North and South America, Europe and Asia. For more information, visit us at http://www.belden.com; follow us on Twitter @BeldenInc. KUALA LUMPUR, Malaysia, March 27, 2015 /PRNewswire/ — foodpanda Malaysia started in 2012 with just 40 restaurants operating only in the Klang Valley. After just 3 years, they have expanded their operations to over 700+ restaurants covering most major cities including Johor Bahru, Penang, Ipoh, and Melaka. When asked about foodpanda’s future plans, he mentioned that foodpanda has plans to expand their current zones within the Klang Valley and start operations in Kota Kinabalu. Having partnerships with most of the major restaurants, foodpanda has no intentions to stop adding more restaurants to their platform. With the recent funding, they also intend to further develop the website, mobile application and overall operations to improve the whole user experience during the ordering process. “We treasure our partnership with foodpanda – they have definitely improved with leap and bounds in terms of both number of orders and operation efficiency since they started,” says Billie, the owner of Puzzini Pizza – one of foodpanda’s early restaurants. In conjunction with their 3rd anniversary, they are rewarding their customers with free delivery on 30th March 2015. Customers can also expect discounts and promotions from their partners, Zalora, Lazada and HotelQuickly on their anniversary. foodpanda group is the leading global food delivery marketplace, active in 39 countries on five continents. The company enables restaurants to become visible in the online and mobile world and provides them with a constantly evolving online technology. For consumers, foodpanda/hellofood offer the convenience to order food online and the widest gastronomic range, from which they can choose their favourite meal on the web or via the app. HSINCHU /PRNewswire/ — MediaTek today announced a Chinese naming contest for its new premium mobile processor family — Helio. Open to entrants from around the world, the competition will choose one creative winner to receive the grand prize of 1 million RMB (approximately US$161,000) for his or her winning submission. In addition, MediaTek will also choose five finalists, who will each receive 50,000 RMB(approximately US$8,000). Contestants can submit up to three Chinese names that best exemplify the strength, performance and innovation of the new Helio chipset family. Online submission will be accepted starting April 15th at http://www.mediatek.com/event/helio_naming and winners will be chosen in early June 2015. Helio is MediaTek’s premium mobile processor family which integrates leading heterogeneous computing technology with advanced multimedia innovations. This new processor range consists of the Helio X, a high-specification range of chips offering extreme performance, and the Helio P, a range of premium performance chips. Helio X is focused on uncompromised multimedia performance backed by highest level mobile computing, whereas Helio P provides optimal thermal efficiency and reduction of battery size, enabling the slimmest possible smartphone form factors. Both the X and P sit in the MediaTek high-end range of SoC’s. MiraVision — A high-performance, real-time pixel processing engine which dynamically controls sharpness, contrast and color, to enhance picture quality. SmartScreen — An algorithm/pixel engine that compresses and enhances individual pixels, in real-time, to make the screen brighter, allowing users to experience TV-like quality using significantly less power. 120Hz display in mobile devices — 120Hz refresh rates will create a crisper, smoother image quality when moving a document or text around, i.e., a map. Super slow-motion — A camera capturing 480 frames per second (fps) for 1080p Full HD videos, with playback at 1/16 speed. InstantFocus — Reduces focus time by 1.5 seconds. Improves tracking to ensure you always get a clear photo and never miss a shot. The first Helio powered smartphones will be commercially available in the second quarter of 2015. MediaTek is a pioneering fabless semiconductor company, and a market leader in cutting-edge Systems on Chip for wireless communications and connectivity, HDTV, DVD and Blu-ray. MediaTek created the world’s first True 8Core™ smartphone platform with LTE and our CorePilot® technology releasing the full power of multi-core mobile processors. Through MediaTek Labs, the company is creating a worldwide ecosystem in support of device creation, application development and services based around MediaTek offerings. With an emphasis on enabling technology for the masses and not the chosen, everyone can be an Everyday Genius®. MediaTek [TSE:2454] is headquartered in Taiwan and has offices worldwide. Please visit http://www.mediatek.com for more information. 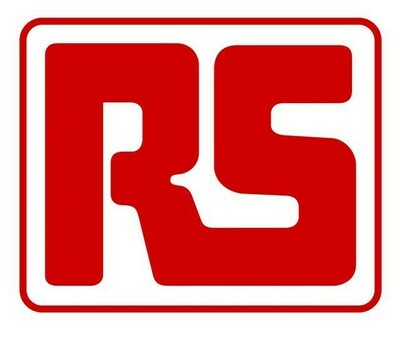 HONG KONG /PRNewswire/ — RS Components (RS), the trading brand of Electrocomponents plc (LSE:ECM), the global distributor for engineers, has become the first global, high-service distributor to stock the Big Wipes range of industrial-strength cleaning wipes, which are specially formulated for faster cleaning and superior skin safety. With their large size, specialist formula with skin conditioners, and unique high-performance fabrics, Big Wipescan quickly remove unwanted substances such as PU foam, paint, varnish, silicones, glue, oil and grease from a wide range of different surfaces. The wipe can continue cleaning even when heavily soiled, so large clean-ups consume fewer wipes. The formula is biodegradable, preservative-free and compliant with the EU Cosmetics Directive, ensuring that Big Wipes are friendly to the environment and to the user’s skin. RS is stocking the complete Big Wipes range, which comprises Multi-Purpose, Heavy-Duty and Multi-Surface wipes in pack sizes from 80 to 240 wipes. Low alcohol content (approx 5%) means the wipes can be used anywhere without handling restrictions. Electrocomponents is listed on the London Stock Exchange and in the last financial year ended 31 March 2014had revenues of GBP1.27bn.